One of the biggest benefits of showering with a hair net is that it can help keep your curl pattern in place. Many naturals, especially those with thicker hair, find that showering leaves their hair without definition and without volume. Taking a shower with a hair net can help prevent this altogether, but not entirely. It’s also great for when you want your hair to get a little moisture and heat from the steam of the shower, but don’t want to wash your hair that day. 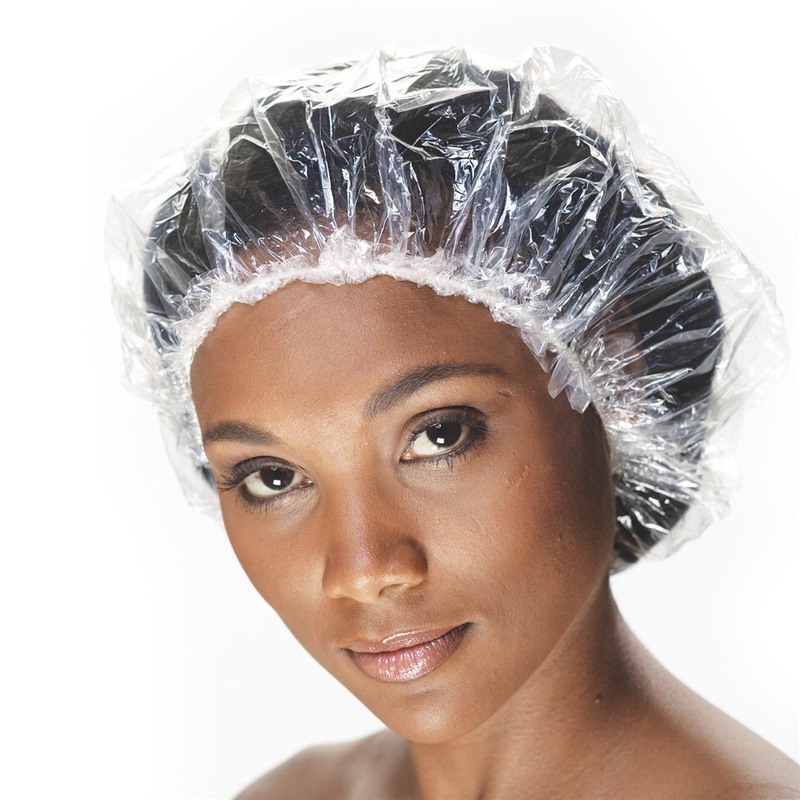 A shower cap doesn’t let anything penetrate whereas the net allows for these elements to get to your hair. Many naturals also report that showering with a hair net helps to cut down on frizz and moisture loss. Hair nets aren’t just for days when you don’t want to wash hair though. Many naturals use hair nets and wash at the same time. While this may seem complicated or unnecessary, it allows for you to cleanse your hair while the net helps to hold hair shape and curl pattern. The drawbacks of using a net in the shower depend on your definition of a drawback. If you are looking to condition and detangle in the shower, a hair net won’t work for that purpose and will need to be removed which would defeat the purpose of washing your hair while wearing one. It should also be noted that while wearing a hair net will work wonders for type 4 hair with tighter curls and even certain type 3 hair, it’s much harder for type 2 or loose waves. It will essentially flatten waves since the curl pattern isn’t as tightly formed as denser curls. The hair net can also make the water accumulation heavier which is an enemy of lightweight hair such as waves. So, whether or not to use a net really depends on your hair type, what you plan on doing to your hair in the shower, etc. Of course, like all things in natural hair, you can always try it out for yourself and see what kind of results you get! What do you prefer to wear over your head while showering?